Create ASP.NET Org Charts from XML, LINQ or from your database. Comes with a number of built in styles to get you started straight away. What is ASP.NET Org Chart Component? 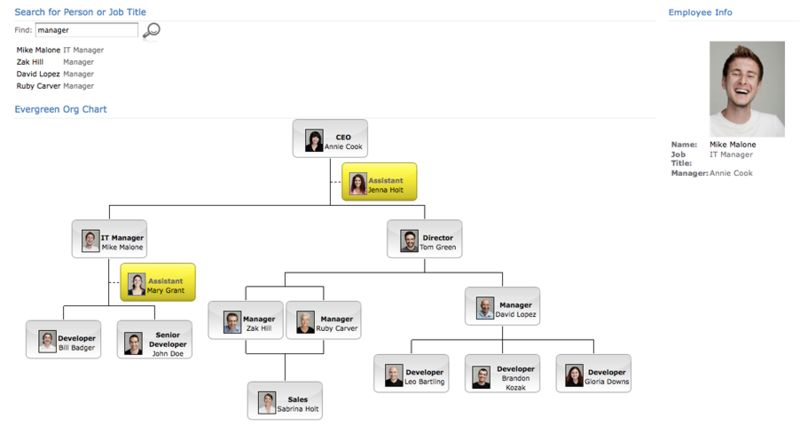 The Organisation Chart Component is a charting component specifically designed for building organisation charts. The OrgChartComponent starts from $200 and can be purchased with any major credit card, just visit the purchase page here. The component is run-time and royalty free - in addition we operate a 30 day "no questions asked" refund policy. For an online demonstrations of the capabilities of the Organisation Chart Component in action please click here. The demonstration site can be downloaded and installed on to your development PC and contains example code to get you started!